California cherry grower-shippers say they’re expecting bigger volumes in 2019 than a year earlier. That shouldn’t be difficult, they were quick to add. In 2018, cherry volume statewide was 3.96 million cartons, compared to 9.56 million cartons a year earlier, according to the Sacramento-based California Cherry Board. Weather was a factor in the downturn, suppliers said. There also was a freeze early in 2018 that hit the trees “just as buds were beginning to swell,” he said. The 2019 crop appears more promising, thanks to “more temperate” conditions, Persky said. “We’ve had a gorgeous bloom over the last 10 days or so – a little later than the last couple of years, but when it did bloom, it popped,” he said. Growing conditions leading to the 2019 crop improved considerably over a year ago, said Jim Hanson, managing director of Stockton, Calif.-based Grower Direct Marketing LLC. Bloom was progressing south to north as March waned, Hanson said. “We’re about a week later in our timing, compared to last year, and last year, we were a week late,” he said. “This year, we had the same type of freeze, but the buds were tighter,” he said. “The bing crop, I don’t see starting in the Stockton-Linden and Lodi areas until May 1,” he said. Growers expect to harvest 60% of the total crop in May and the rest in the first two weeks of June, Hanson said. 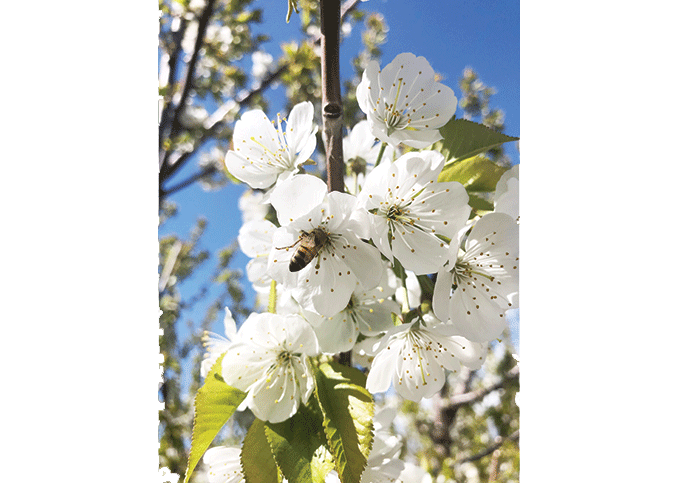 This year’s California cherry harvest could rival 2017’s take, said Mike Jameson, director of sales and marketing with Stockton, Calif.-based Morada Produce. “All indicators are it’s going to be good, comparable to maybe two years ago — good chills, good moisture and a lot of buds on the tree,” he said. Cool conditions likely will hold back the first harvest until around May 1, Jameson said. Brianna Shales, communications manager for Wenatchee, Wash.-based Stemilt Growers LLC, agreed. “It’s been a slow start to spring in California with cool/moist conditions that have now turned to the normal dry/warm,” she said. “Timing wise, we are expecting a nice spread between growing districts in California and a slow ramp up that will begin in May,” she said. Francisco Ilic, export manager at Dinuba, Calif.-based King Fresh Produce LLC, voiced optimism about the upcoming deal. “At this moment, the cherry crop seems to have plenty of potential to be large, if not very large, in volume,” he said. Bing cherries in the northern region looked “very good,” Ilic said. “However, not exactly knowing what the weather will be for the next 60 or so days, will always make it a difficult thing to predict a cherry crop,” he said. Rich Sambado, sales manager at Linden, Calif.-based Primavera Marketing, voiced optimism about the crop. “As far as potential cropload, the industry will not have much of a feel until early April. At this point, there is concern about crop set, but all the while there is optimism in the air,” he said.